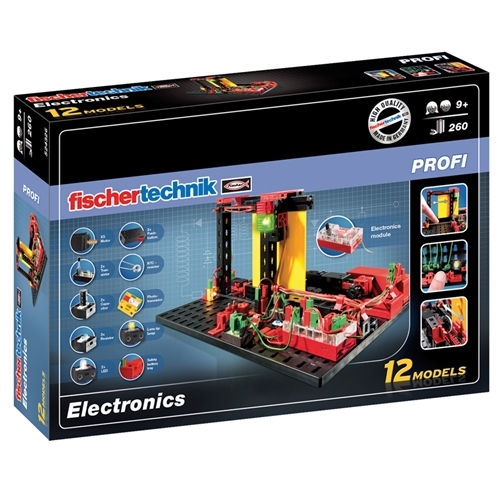 fischertechnik Electronics is a construction set focused on teaching the basic principles of electronics. 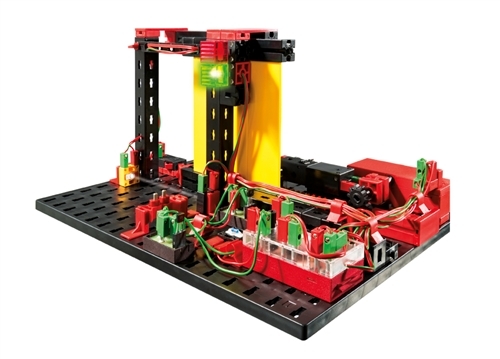 This set encourages builders to explore simple circuits, series and parallel connections, electronic circuits with transistors, capacitors, resistors and LEDs. 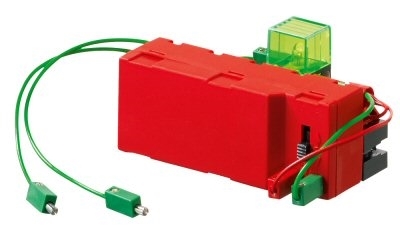 The foundation of the set, the electronic module, is a control with 24 fixed programs, 2 motor outputs, 3 analog inputs and potentiometers for controlling the speed of the motor. 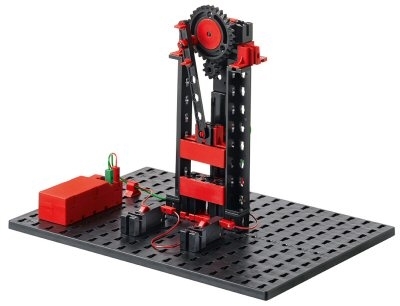 With fischertechnik Electronics you can construct many fascinating and functional models, from a simple flashlight to a controllable ventilating fan and more. This set also includes a dynamic activity booklet that will help you build up to 12 different models. 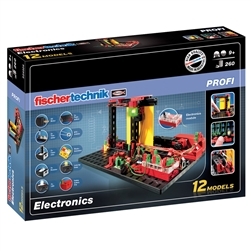 fischertechnik Electronics is part of fischertechnik's STEM Education Fundamentals line. This set provides young learners with resources that both promotes creativity and guides them into the world of electronic technology. 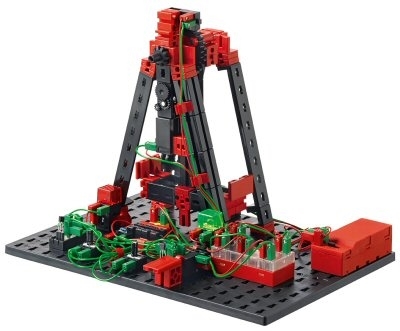 Like most fischertechnik construction sets, it encourages learning through play. Learn the history behind some of these models and the basic principles that serve as the foundation for electronics. This set offers you the components and resource material you need to get started. With the help of the included instructions and the activity booklet, builders will become familiar with various electronic components, such as resistors, capacitors, transistors and photo-transistors. 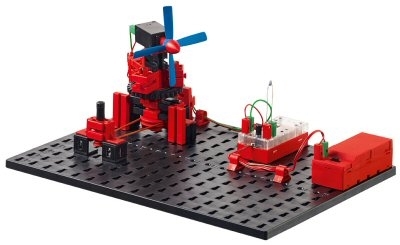 Explore how these different elements function and learn to create your own electronic designs!